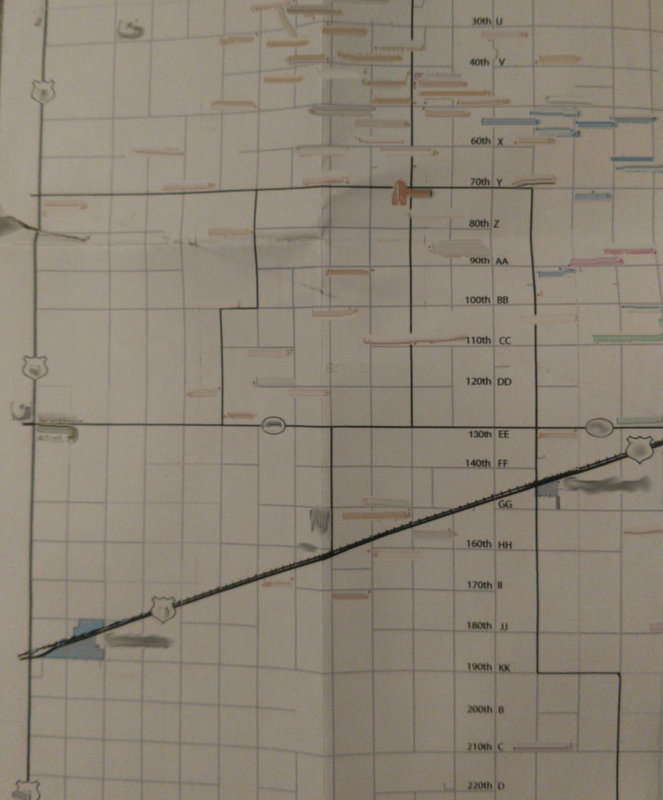 I am trying to align road names in a row, or column as much as possible in QGIS. I know it can be done in Adobe Illustrator with a mapping plugin, but I don't have the $$ for that. I tried something like this but it didn't didn't seem to help. It doesn't need to be exactly like that, but I'd like to do something similar. (1) Draw a line as the guide for the label position. 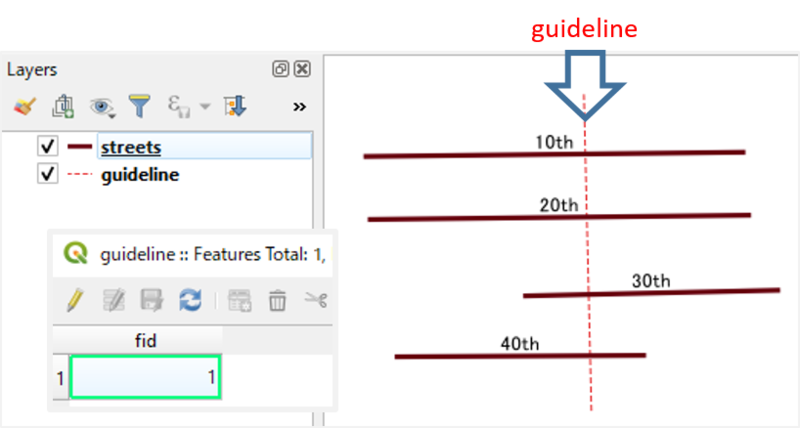 In this example this guideline layer has an id field "fid" with only one value (1). (2) Go to the Layer properties | Labels | Placement. 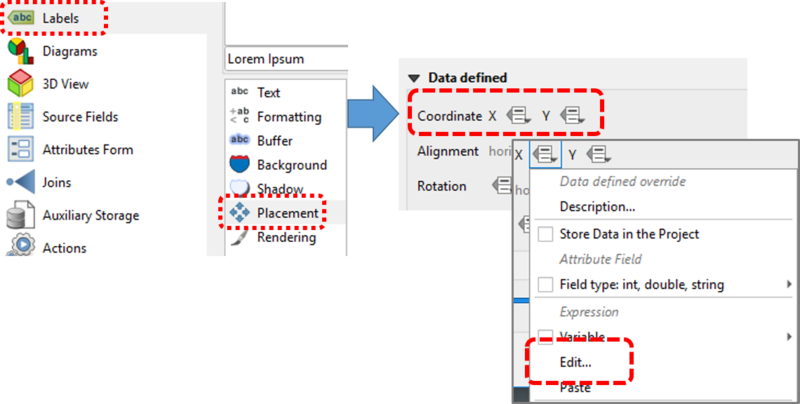 There you will find Data defined | Coordinate X and Y. Select Edit from each pull-down menu. (4) As the final step, please hide the guideline. 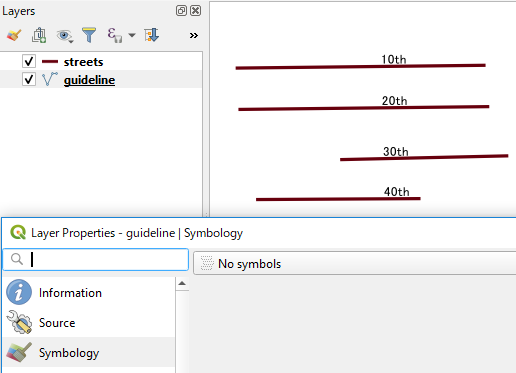 Select the guideline layer and change the symbology to No Symbols. Using Maplex, how do you keep labels from overlapping a non-labeled layer? Correct syntax for loading virtualxl spatialite table?